Tags: Domenick Nati Show, Draymond Green, NBA, Phil Hellmuth, poker books. Last week, Phil Hellmuth was on the Domenick Nati Show. Even though he was mainly discussing his newest book #Positivity: You Are Always In The Right Place At The Right Time, somewhere along the way a topic came about in which he said he's helping NBA player Draymond Green with his poker game. Apparently, the three-time All Star and three-time NBA champion contributed a blurb for Phil Hellmuth's book, and Nati inquired about Hellmuth and his friendship with the Golden State Warriors Power Forward, "Draymond's my boy. He gave me a jacket blurb for that book. I love him, and if people knew who he really was they would love him." He continued, "If you look at athletes throughout history, like John McEnroe, who just occasionally loses it... If you look at Draymond on the court and the way he gets tilted when a ref makes a bad call and walks around like a chicken with his head cut off a little bit. That's kinda like me in poker, which is why my autobiography was entitled Poker Brat. But I think Draymond is just a great guy. Also, I've been helping him with his poker game." The 15-time WSOP bracelet winner is actually a huge fan of the Warriors, since he lives nearby Palo Alto. Other than that, he is good friends with Joseph Steven Lacob, the majority owner of the Golden State Warriors. Currently at 54 years old, the legendary Hellmuth is also well known by the derogatory nickname "Poker Brat" as he is notorious for being quite a sore loser and he also has a knack for smack talking. Even if Phil Hellmuth really depicts a poker brat personality at times at the table and is prone to volatile outbursts, still he is considered as one of the best poker players in the industry. 15 comments for "Phil Hellmuth promotes Positivity Book and talks about NBA Star Draymond Green on Domenick Nati Show"
And of course he is one of the best players around. With fifteen tournament titles in WSOP, how he could ever not be one. He has picked the right title for his book It says it all. who would you expect from. He is one of the best players in this industry and the proof is his bracelets ( 15). I think , he is trying to promote this book and it's not a bad thing. Everyone does what they can to make money and curious people can learn from this book. His personality is abnormal when he offends other players at the table. With all respect, but positivity isn't what i would connect to Phil Hellmuth. The host should have asked him on the numerous occasions he went ballistic after a bad beat, and if he felt "in the right place at the right time, when those beats happened to him. This... One hundred percent. If anything he is really not the guy to give out advices on anger related issues and positive thinking. On the other hand if I had the amount of money he is having then I would be pretty positive about it too. Probably Pajalnick confuses him with someone else, or he does not know when Phil Hellmuth has nervousness or frustration and insults other players. He has to look on youtube and to find. Then he will find that Phil is not the coolest players in the world of poker. There are many coolest players yhan Pgil Hellmuth. But no matter what, he is still one of the best players around. The number of titles speak of itself. You can tell Phil Hellmuth has thousands of dollars invested in mental health lmao. He has seen so many psychologists and anger management groups trying hard to change, atleast you can tell he knows he has stuff he needs to workout... Introspection is something everyone should have. It makes people more humble when they are objective about themselves and see their own qualities and flaws. or he got them afterwards. 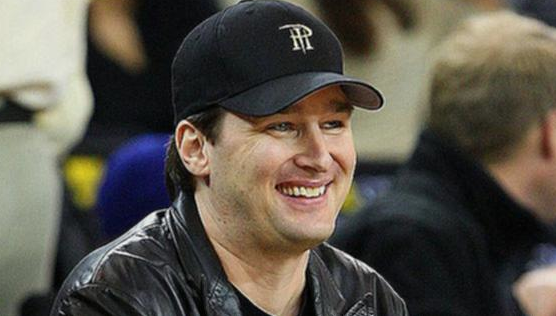 I'm sure Phil Hellmuth he did not have the courage to offend players when he was younger. He is not a strong man to have courage and to offend other players. I think he was respectful with the game partners which he had. His interest was to learn poker as best he could, to make money. I think he is easily getting rattled nowadays, but so does everbody else who is loosing more than winning. And he did not win real big things since years now.